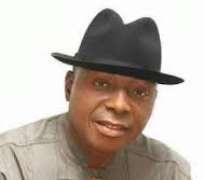 In a bid to cushion the effect of recession and make his constituent self-reliant, the senator representing Delta South Senatorial District at the National Assembly (NASS), Senator James Manager, has collaborated with the National Directorate of Employment (NDE), to train 234 youths drawn from Itsekiri, Ijaw, Isoko and Urhobos that makes up the senatorial district. The training is aimed at making the beneficiaries to be self-reliance in order to avoid the rush for white-collar jobs. Speaking Tuesday at the one week long event holding at Excel Suit, Asaba, Manager charged the youths, “to take the training very seriously. People no longer look up to government for employment”, he asserted. The senator who was represented by the member representing Bomadi Constituency in the Delta State House of Assembly (DTHA) and Majority Whip of the House Engr. Kenneth Oboro Preyor, explained that Nigeria has a population of about 180 million persons, “the workforce spinning between the age of 15 and 64 is about 80.5 million persons, out of this 80.5 million persons, 18.4 million or thereabout are unemployment and the Universities keep turning out graduates into the labour market”, he lamented. He charged them to be serious with the training as the current trend in the country calls for self-reliance, “the trend now is self-reliance, get something done, be trained in a specific field so that you can be also an employer of labour”. The state Coordinator, NDE, Mr Francis Aninye, revealed that they just finished a training of 1400 people in cosmetology, “most of the people are sponsored by political officer holders including James Manager. He knew our efforts and he asked us to help the actual trainer to facilitate what is happening here”. Aninye, who aligned himself with the Senator, reiterated that the labour market is saturated, “anybody thinking that he will continue to depend on government is just deceiving himself. The best thing is for them to acquire the skills and later establish on their own with the help of the Senator”. He said the skills were more important than the money, “if they give you money without any skill, you can spend it within a twinkle of an eye but with a skill even if there is no money, you can establish on your own”. The consultant, Mr Shola Oyewo, Managing Director, DANT Nigeria limited, said the training covers poultry, animal husbandry, piggery, fish farming, cosmetology, makeup artist and confessionary. He disclosed that the participants have being taken through various areas of field geared towards making of choice and that they have been grouped into different skill areas. He noted that they have being divided into groups where they could receive practical training on “areas they have decided to choose and the training is going on smoothly”. He said they would also be taken through educational visits for those doing practical among them, “we will take them to the various areas where they have chosen for the practical aspect”. A participant, Okunbuakpo Edekwe who spoke said the training was apt as it would help him to be employers of labour, “the programme is very good and I am very happy because this is the first time I am taking part in this kind of programme. This is what we have being expecting from various tires of government”. He also lamented the unemployment situation in the country but expressed his gratitude to the senator for enlisting him into the empowerment programme.